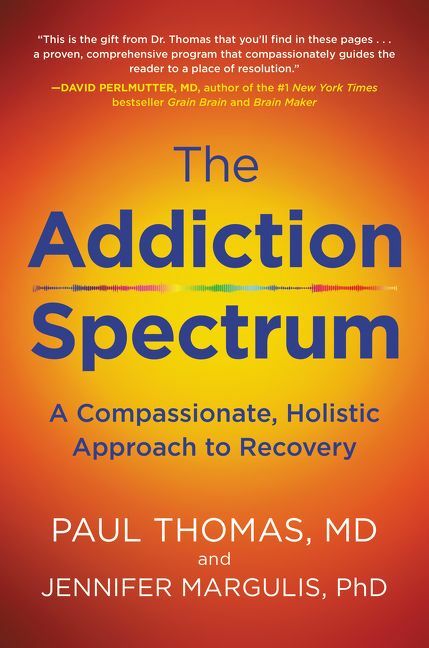 The Addiction Spectrum - Paul Thomas M.D. Drug overdose is now the leading cause of death for Americans under fifty. Even as opiate addiction skyrockets, more people than ever before are hooked on alcohol, sedatives, cigarettes, and even screens. The face and prevalence of addiction has changed and evolved, but our solutions to addiction are stuck in the past. We’ve been treating addiction as a black or white issue, a disease you either suffer from or will never suffer from. The problem with this model is that it doesn’t account for the incredible forces working against all of us, pushing all of us toward addiction: stress, undernourishment, sleep-deprivation, vitamin D deficiency, and isolation, not to mention a flawed medical system and corrupt pharmaceutical companies doling out prescriptions at every turn. The truth: Addiction is a disease that, like many others, exists on a spectrum. We are more vulnerable to becoming addicted to substances at certain points in our lives and based on the evidence provided in The Addiction Spectrum, most effective at kicking addiction when we take a holistic approach. With the help of the 13-point plan and individual protocols detailed in this book, you have the power to change your destiny. 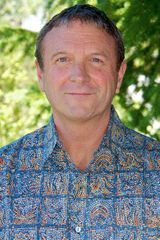 No one understands this more than Dr. Paul Thomas, who recovered from alcohol addiction early in his career and founded one of the most effective rehabilitation centers for teens and young adults in his hometown of Portland, OR. Named one of the top family doctors and one of the top pediatricians in the country, Dr. Paul is also board-certified in both integrative medicine and addiction medicine. This unique combination of specialties is intentional: Dr. Paul has devoted his entire life and career to saving lives. Using the best conventional medicine alongside the new science of alternative health, Dr. Paul has treated thousands of patients with the life-saving solutions provided in The Addiction Spectrum. Addiction is a compendium of often devastating circumstances that have gone unchecked by society for far too long. This book is a positive light and guide to overcoming not only addiction but the challenges and obstacles that affect us all. Paul Thomas, M.D., FAAP, received his M.D. from Dartmouth Medical School and did his residency at UC San Diego. He is a board-certified fellow of the American Academy of Pediatrics and board-certified in integrative and holistic medicine and addiction medicine. His practice, Integrative Pediatrics, currently serves more than eleven thousand patients in the Portland, Oregon, area. He was named a top family doctor in America by Ladies’ Home Journal in 2004 and a top pediatrician in America in 2006, 2009, 2012, and 2014 by Castle Connolly. Dr. Thomas grew up in Zimbabwe (the former Rhodesia) and speaks both Shona and Spanish. He is the father of ten children (ages twenty to thirty-two). He lives with his family in Portland, Oregon. 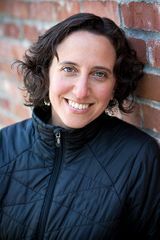 Jennifer Margulis, Ph.D., is an award-winning science journalist who has been researching and writing about issues related to children’s health for more than ten years. Her articles have appeared in The New York Times and The Washington Post, and on the cover of Smithsonian Magazine. A Boston native, she lives in Oregon with her husband and four children. Are you a Paul Thomas M.D.,Jennifer Margulis PhD fan? Sign up now for Paul Thomas M.D.,Jennifer Margulis PhD alerts, including news and special offers. Thank you for signing up to receive news about Paul Thomas M.D.,Jennifer Margulis PhD.